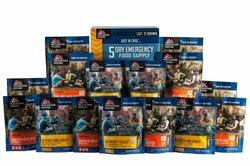 Just in Case 5 Day Emergency Food Supply Kit  - $97.85 : Trail Explorers Outpost, Keeping the Adventure Alive! 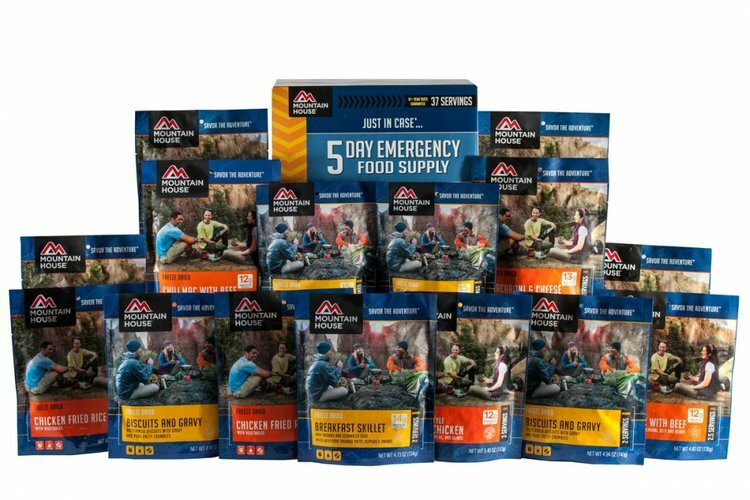 Mountain House's Just in Case...® 5-Day Emergency Food Supply is the perfect solution for your emergency food storage needs. 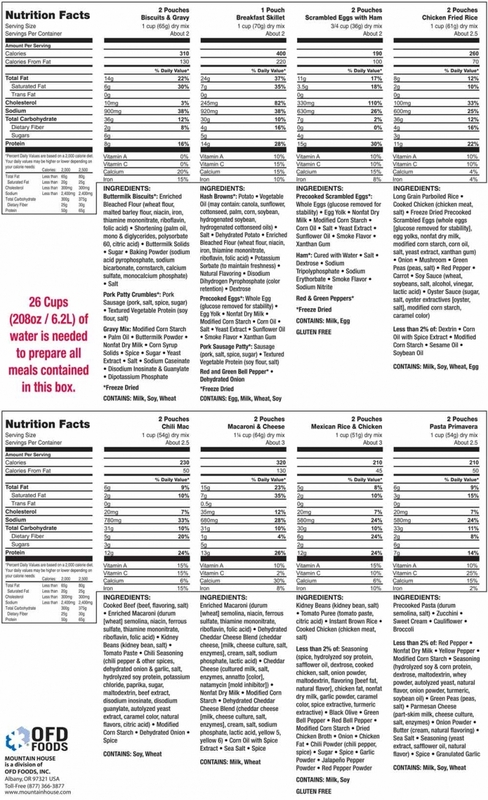 With 37 total servings and approximately 1,850 calories each day, this five-day kit contains enough food to meet most of one person's daily caloric needs. 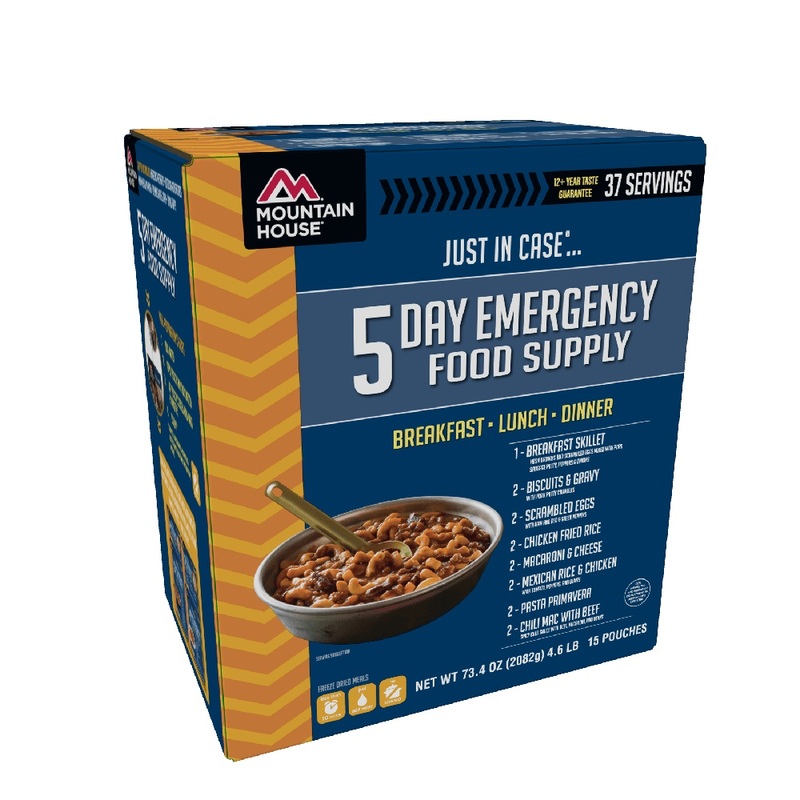 Use it to help fuel yourself for five days or combine with our other Just in Case...® and create your own custom emergency food package. Mountain House's 30-year shelf life guarantees that your meals will taste great when it matters most. With nearly 50 years of experience and the longest proven shelf life in the industry, it's easy to see why emergency preppers and daring explorers choose Mountain House to fuel their lives. 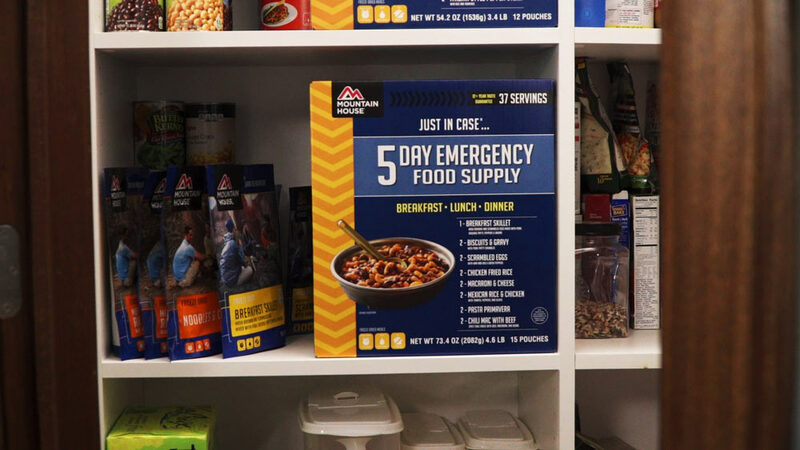 Prepare for yours with our Just in Case...® 5-Day Emergency Food Supply.